The Sri Lankan government, Monday inaugurated its fastest railway line, which has been built with the assistance of the Chinese government. 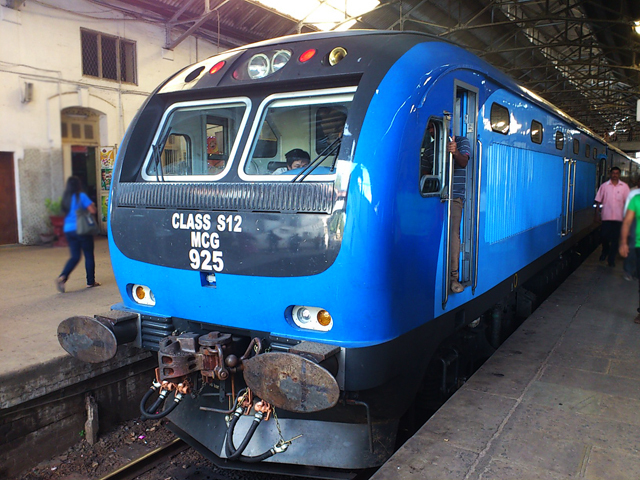 Sri Lanka finished the construction of first 26.75-km Matara-Beliatta railway extension first time after the island nation got independent in 1948. The new railway line was inaugurated by Arjuna Ranatunga, Sri Lanka’s Transport and Civil Aviation Minister, Finance Minister Mangala Samaraweera, and other parliamentarians. The project was financed by the Export-Import Bank of China (China Exim Bank) and the contract was awarded to the China National Machinery Import and Export Corporation. A major portion of the construction was carried out by the China Railway Group 5 (CR5) and Sri Lanka’s Central Engineering Consultancy Bureau (CECB). According to Sri Lankan media reports, the cost of the rail project was $278 million. Chinese Foreign Ministry spokesman Lu Kang said, “The railway line is the first railway project contracted by the Chinese company in Sri Lanka under the BRI and it is indeed the first railway built after country’s independence.” The project will make regional transportation more convenient and facilitate local economic and social development, said Lu Kang. The construction of the rail track from Matara to Kataragama was started in 1991 by former president Ranasinghe Premadasa, reported Sri Lankan news portal. The Matara-Beliatta railway extension includes the longest and second longest railway bridges of 1.5 km and 1.04 km, respectively. China is Sri Lanka’s biggest lender. The country has made an investment of $8 billion in the island nation. Moreover, Beijing already has a 99-year lease of Sri Lanka’s Hambantota port, as Colombo failed to repay Chinese debts.